In “What Facebook Says About You, Pt 1,” Pew Internet & American Life Project’s study shows a potential warm fuzzy side of Facebook usage, namely the increased number of personal bonds that social networkers seem to have in the real world. But just as there are pluses and minuses to everything in life, both real and digital, there are things to look out for with social media too — especially in light of recent events. If there was ever any doubt about the damaging effect of online behavior, it was quickly dispersed over this whole sad “Weinergate” fiasco the public has been subjected to lately. New York Representative Anthony D. Weiner resigned last week, following a media storm that ignited over the explicit pics he sent of himself via Facebook and Twitter. Now this is an extreme case, sure, but in today’s world, politicians aren’t the only ones who need to fear the Internet coming back to haunt them. In fact, the Federal Trade Commission (FTC) just okayed a new background check company whose purpose is to dig up online dirt on job candidates and dish them out for a fee. 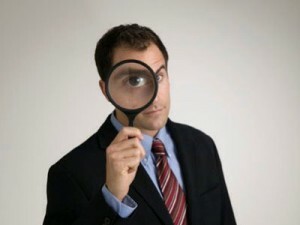 In truth, your online profiles, photos and posts were all subject to discovery in the recruitment process anyway. At this point, who doesn’t know that employers will Google prospective job applicants or search Facebook and Linked In for information? But Social Intelligence Corp. ups the ante: Unlike a simple Google search, whose results can get pushed down, these findings cling to you. Once Social Intelligence has a file on you, any online posts, pics, vids, social updates and other online data connected to you can get stored in there for several years. There are two things you need to know about this: First, just like consenting to a criminal background or credit check when applying for a job, you would need to agree to this online investigation. If you refuse, the employer’s request for your online background file won’t go any further (and unfortunately, neither may your chances of scoring that gig). Second, although you can contest any record that Social Intelligence digs up on you, it’s not as simple as just telling a friend to take down that drunken photo from last year’s bachelor party — you’ve got to petition Social Intelligence Corp. to remove it from your file. If you don’t do that, it doesn’t matter how you changed your privacy settings after the fact. The item stays on your record for the aforementioned seven years. What do you guys think? Are online background checks the new normal? And is this something you’d fear? Weigh in below.